It’s that time of year again: time for our fabulous, all-you-can-eat Friday Fish Fry! 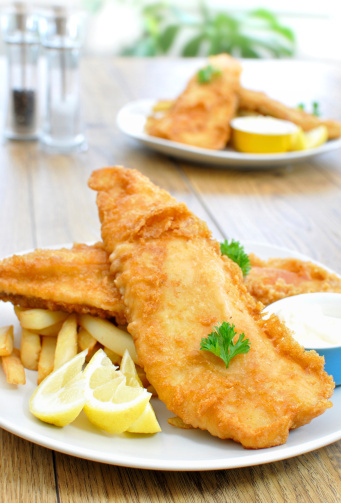 Every Friday during Lent, Catering with Elegance will be serving up our well-known Fish Fry at Bloomingdale Golf Club. Starting March 8 and continuing every Friday through April 19, our doors open at 4:00 pm and our last seating is at 8:30 pm. And while our Fish Fry is great for those of you observing Lent, it’s also an absolutely delicious way to also start the weekend off right. The return of the Friday Fish Fry also means that spring can’t be too far away—great news after a winter like this one. Of course, the centerpiece of our Friday Fish Fry is our all-you-can-eat haddock, served with French fries and coleslaw for just $15.50. Bring the kids and grandkids, too: they can enjoy a kids’ plate version for just $8.25. Looking for variety? Try our Jumbo Fried Shrimp, also served with French fries and coleslaw. Don’t fancy fish? Don’t worry. Choose one of our delicious sandwiches: our 1/3-lb. hamburger or cheeseburger, chicken breast sandwich, jumbo hot dog or veggie burger. All come with French fries and coleslaw as well. We also offer some of your other favorites from our menu—just ask. Beer, wine, and cocktails are always available for purchase, as well as coffee, milk, hot tea, kids’ drinks, and soft drinks. View our full-page Fish Fry menu here. Can’t stay and dine? Not a problem. Call your order in for carryout at 630-529-3380. We look forward to welcoming you and your family to our annual Fish Fry tradition. Only through April 19—so plan to join us this Friday! See you there. Bloomingdale Golf Club is located at 181 Glen Ellyn Road in Bloomingdale. Hop on over to celebrate Easter Sunday with brunch at the Medinah Shrine Center. Our popular Easter Brunch is back on Sunday, April 21. 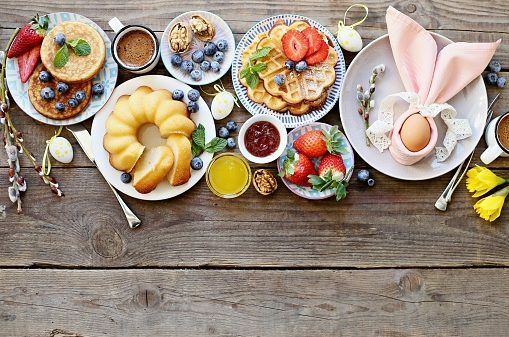 Bring the whole family and come hungry, because our lavish brunch menu offers something for everyone. 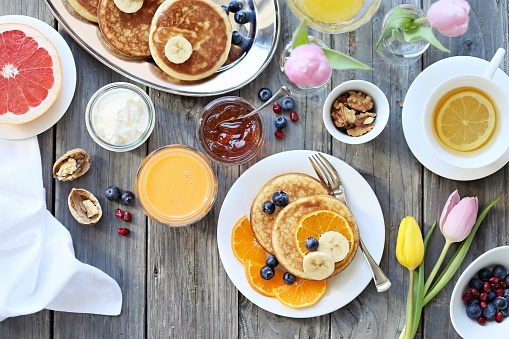 In a breakfast mood? Sample our hot breakfast selections or have an omelet custom-made for you at our omelet station. Indulge your sweet tooth with something from our Belgian waffle station. If you’re hungry for heartier fare, you’ll find it at our carving station, pasta station, or seafood station. Our salads complement any of your choices. Our Easter Brunch includes Champagne, so you can raise a glass to mark the holiday—and the return of spring. Whatever you add to your plate, be sure to save room for dessert—our popular Dessert Station is the perfect way to end your brunch on a sweet note. Dress in your Easter best because the Easter Bunny himself is planning to join us for photo ops with the kids (and you, too). Easter Brunch prices are $41.95 for adults and $16.95 for children ages 6 – 12. Children ages 5 and under are free. Brunch seatings are available between 10:00 am and 2:00 pm but be sure to call now to reserve your place. Call us at 630-458-0200 to make your reservation. Medinah Shrine Center is located at 550 Shriners Drive in Addison.